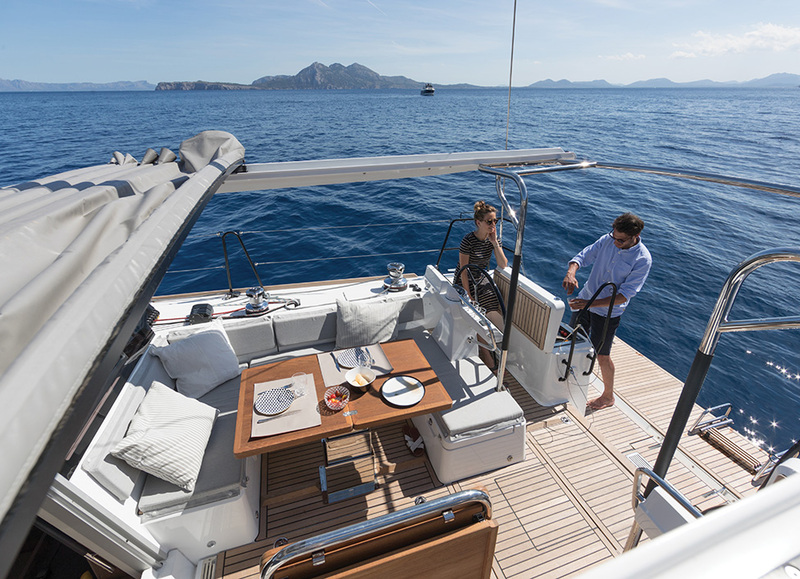 When Beneteau launched its Sense range almost eight years ago, it introduced the sailing world to an entirely new concept of what a large sailing yacht could be and do. She was designed to be a cruising yacht for all horizons — equally at ease on the open ocean as well as bays and inlets and more than ready to handle anything from a casual day cruise to months-long expeditions. 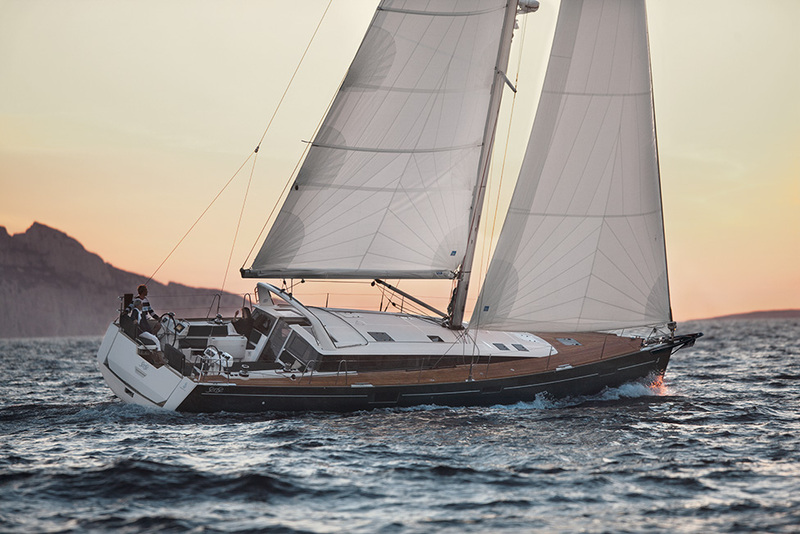 Since then, this range of luxury cruisers has become known for their drama-free, low-heel angle sailing characteristics as well as no-compromise livable design. When you build a sailing yacht that deﬁes the conventional status quo as Sense does, you need a new vocabulary to deﬁne her. Sense is known for her comfortable, stable and luxurious cruising characteristics, in part due to her state-of-the-art electronics and hard-chined hull specially designed to be low on the water. She delivers plenty of seaworthy performance even when the weather begins to show its teeth. 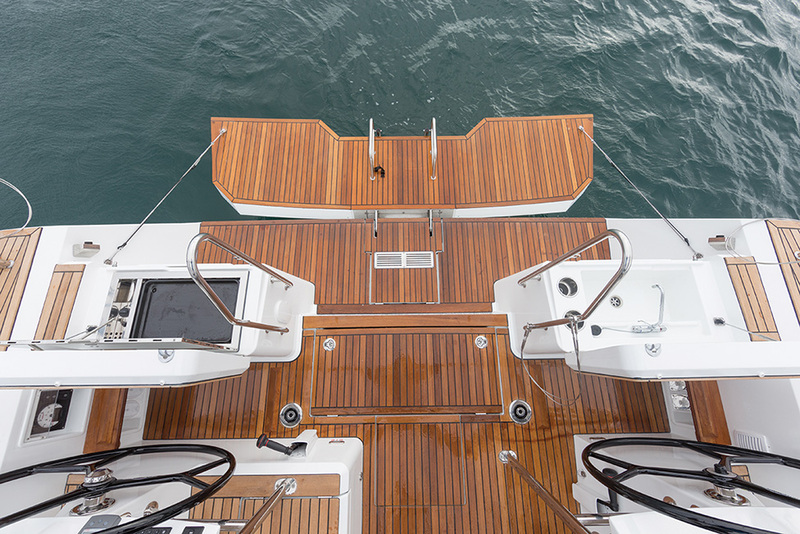 Her deck plan has been meticulously designed and includes electric winches, bow thruster and stainless steel bowsprit for efficient and effortless sailing by captains of most experience levels. Where Sense really shines is her abundance of space inside and out. Above deck, it seems somehow inappropriate to refer to her helm as a cockpit. Rather, it’s more like a veranda complete with a semi-rigid bimini for shade, a topside galley for entertaining and an electronically activated hydraulic transom for access to the water. She boasts plenty of elbowroom as well as comfortable seating for entertaining guests or showing off your sailing prowess. From topside, it’s only three shallow steps down to the open and airy galley, saloon and luxurious staterooms featuring ensuite heads with separate showers all located far forward away from the engines and cockpit to provide quiet, restful quarters. The Sense 51 provides one surprise after another. Her low proﬁle hull makes for stable handling and livable space normally found only on much larger boats. Her Nauta designed interior is ﬁlled with natural light from large windows creating a catamaran-like environment for living and entertaining. Seaworthiness and simplicity are her watchwords. Overall, the Sense 51 is about as well balanced as a mid-sized cruiser can get. The Sense 57 is the queen of the range and is a full-on adventure seeker. She’s a fast, highly maneuverable sailing yacht no matter what the weather has in store with a huge cockpit and clever deck plan. 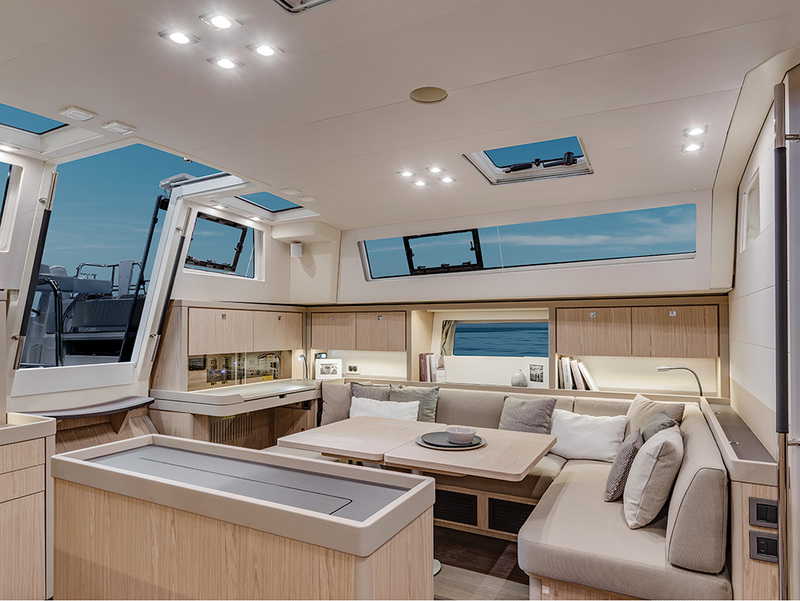 Her main saloon and galley, trimmed in a choice of Alpi Walnut or Alpi Mat Light Oak, are bathed in ambient light from large windows lining her port and starboard sides. Forward, you’ll ﬁnd three spacious cabins including an opulent master suite for total relaxation at sea. To learn more about the Sense range and the Beneteau lifestyle, visit BeneteauLife.com. No Replies to "Beneteau: An Entirely New Concept"